Kwame Nkrumah made the Independence Day Declaration around the midnight (12.00am) of 6th March, 1957 at the Old Polo Grounds. Together with him on the platform stood Komla Gbedemah, Kojo Botsio, Archie Casely-Hayford, Krobo Edusei and N.A. Wellbeck. They all wore smock. On the Day of Independence Declaration, Kwame Nkrumah was just a Prime Minister. In fact, at that same time, Sir Charles Arden-Clarke was sworn in as the first Governor-General (president) of Ghana. Nkrumah only became President on 1st July, 1960 (i.e. Republic Day). On 18th September 1956, it was decided and announced that the official date for Ghana to be declared Independent was set to be 6th March 1957. Note that Ghana didn't become Independent on 6th March, 1957, it was just the Declaration that was done on this day. Mr. Emmanuel Obetsebi-Lamptey and Mr. William Ofori Attah. The country Gold Coast was officially approved to be renamed as Ghana on 12th November 1956. The name Ghana was suggested by J.B Danquah. Dr. Nkrumah and Dr. JB Danquah conducted a research and found out that majority of Ghanaians, at that time, were Akans and descended from the “Ancient Empire of Ghana (south east of Mauritania and west of Mali)". And “Ghana” was the title name of the ruling kings of that empire. Hence, the name. The Ghana Flag was designed by Mrs. Theodosia Salome Okoh and was first and officially raised/lifted on Independence Day 6th March 1957. The flag was made up of red, gold and green with a 5-pointed black star dotted on the gold in the middle. The colours of the flag, however, were changed on 1 January 1964. The new colours were red, white and green with a black star in the middle. These colours were to reflect the identity of the CPP, which was the ruling party at the time. However the original flag with its original colors was reinstated 28th February 1966 upon Nkrumah's overthrow. The colour red stands for the remembrance of the bloodshed that occurred in the long struggle to get independence. The colour “gold” stands for the riches that our country is blessed with. And “green” stands for the enormous green lands, forest and rich vegetation our land is blessed with. Now, the black star. Many think it represents the Hope of Africa, it's not entirely the case! It is believed to have been borrowed from the flag of Marcus Garvey’s (a mentor of Kwame Nkrumah) shipping line which carried a black star. This shipping line brought most of the African freedom fighters and symbolizes Africa's strong unity in the fight against colonialism. However, after the overthrow of Dr. Nkrumah on 24 February 1966, the lyrics was adjusted. A student (back in those days of course) named Michael Kwame Gbordzoe (Now Dr. Michael Kwame Gbordzoe) supposedly wrote the lyrics of “God Bless Our Homeland Ghana”. And these lyrics have been used ever since the 1970’s. Before Independence, Ghana's currency was the British pound, shilling and pence. However, when Ghana gained its independence in 1957, a new monetary currency was implemented: The Ghanaian pounds, pence and shillings. These were used from 1958 till 1965. After 1965, the government of Ghana introduced a new currency called “Cedi” notes and the “Pesewas” coins. The word “Cedi” actually means “Cowry Shell” (sea snails) in the Akan language. These cowry shells were actually used as money in our country…way back in the days. 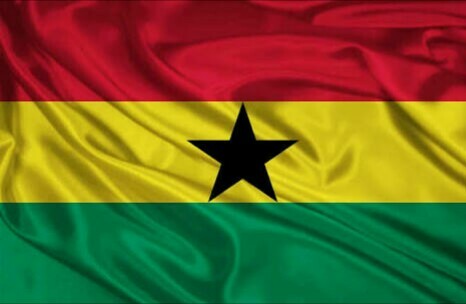 Ghana became 62years old on Wednesday, 6th March, 2019. This day, Wednesday, coincides with the original Independence Day on 6th March, 1957. It was also a Wednesday. The theme for this year's Independence is "Celebrating Peace and Unity" and shall be hosted in Tamale to commensurate with the unity in Dagbon. Mr Morenes described the event as "a showcase of the ties that bind the United States and Spain together". Homeland Security Investigations, a division of the Immigration and Customs Enforcement agency (ICE), conducted the investigation with the Department of Justice (DOJ), according to a statement from ICE. 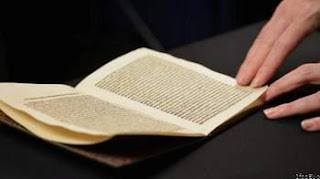 The letter was a manual copy of the original, known as the Catalonia Plannck II Columbus and written in Spanish to King Ferdinand and Queen Isabella. It describes the people, landscape and wealth Columbus found when he arrived in the Americas. The US returned a 500-year-old stolen Christopher Columbus letter to Spain after a seven-year hunt. Written in 1493, the letter describes the explorer's discoveries in the New World and was addressed to King Ferdinand and Queen Isabella of Spain. However, authorities received a tip in 2011 that several copies had been stolen and replaced with forgeries. Spain's US ambassador Pedro Morenes received the letter in a repatriation ceremony in Washington. Kwere is an offensive term used by black people to refer to foreign Africans. Petersen says they want to provoke thought around the issue of the attack on foreign nationals. Africa Awake is commemorating the 10th anniversary of the 2008 xenophobic attacks by remembering the victims. In 2008, a xenophobic attack erupted in South Africa claiming over 50 lives and leaving over 15,000 people displaced. Africa Awake will showcase a documentary and an exhibition at 56Pim Studio in Newtown on Thursday. The documentary, Blood and Fire, is based on Ernesto Nhamuave, a Mozambican who was burned alive in the Ramaphosa informal settlement in the East Rand. Speaking to Eyewitness News, Africa Awake’s director Romy Petersen says they have themed the event “Kwere” to dismantle negative connotations around foreign nationals in the country.